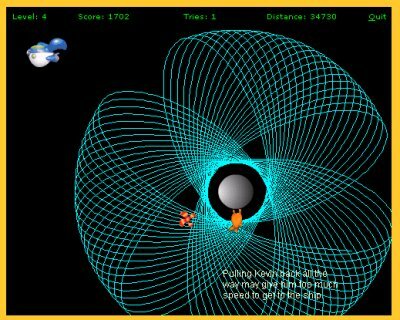 If you are looking for a highly addictive online game or just want to waste your time launching penguins in outer space here is a link for you. Webmaster Tools Apps and Templates | eBook A Week - Free eBooks For Life! "When the doors of perception are cleansed, things will appear as they truly are... Infinite"
I see a lot of visits and no posts here does that mean you all hate the game or that your so addicted you don't have time to post after you start playing? not bad, for a shockwave game. I thought you would enjoy. Actually I did enjoy it, just so busy lately! I got to level 10 abd realized I could be playing this for a while... felt my old tetris addiction kicking in. You should have seen how many lunch hours at work have been wasted away with the mindless launching of penguins at my work! I don't think those guys have found the"x" yet. Yes, it is addictive, to bad we can't launch little sadistic penguins, like yours. Yeah, orbitting was fun. Sometimes it only looks like he was going to orbit but ended up scoring me like 10000 points instead for distance on second try . Okay, I'm over the penguins now . Last edited by Nix; 8th October, 2001 at 04:22 PM. I love this game! and yes, orbiting is fun indeed! Thats a bute. Seem like very time I get one in orbit he pretty much goes in the same loop after a while, yours actually looks cool! Everyone else should send in screen shots, so we can all see some sweet orbits!